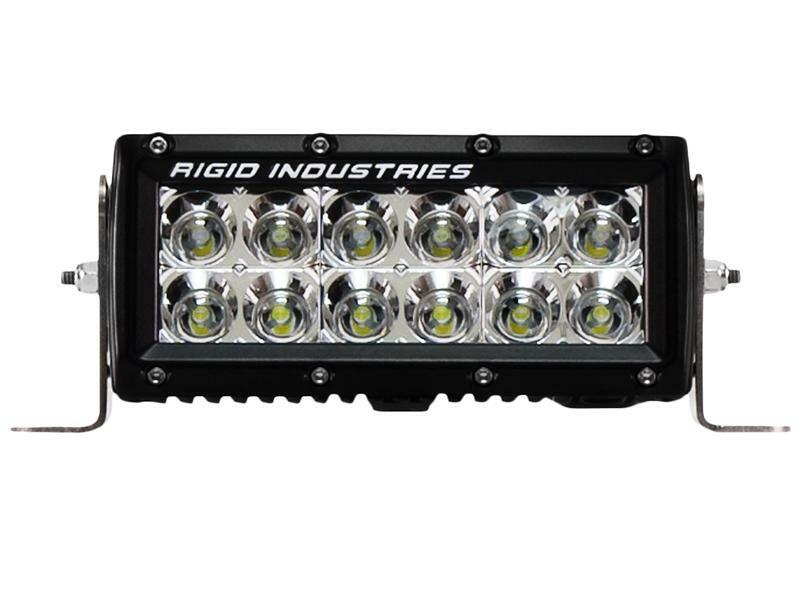 Rigid Light Bar - E Series UNIVERSAL - Dezod Motorsports Inc - Home of the automotive performance enthusiast since 2002. The Rigid Industries E-Series was the first projected LED light bar. Since its introduction in 2006, the E-Series light bar has set the standard in the industry through continuing advances in technology and superior engineering. Available in a wide range of lengths and configurations, our flagship is the light bar of choice for everything from light truck / car applications and vehicle race teams to farming equipment and police / fire rescue vehicles. The E-Series light bar is designed to project light at extreme distances while consuming very little power.